Happy Tuesday, y'all! 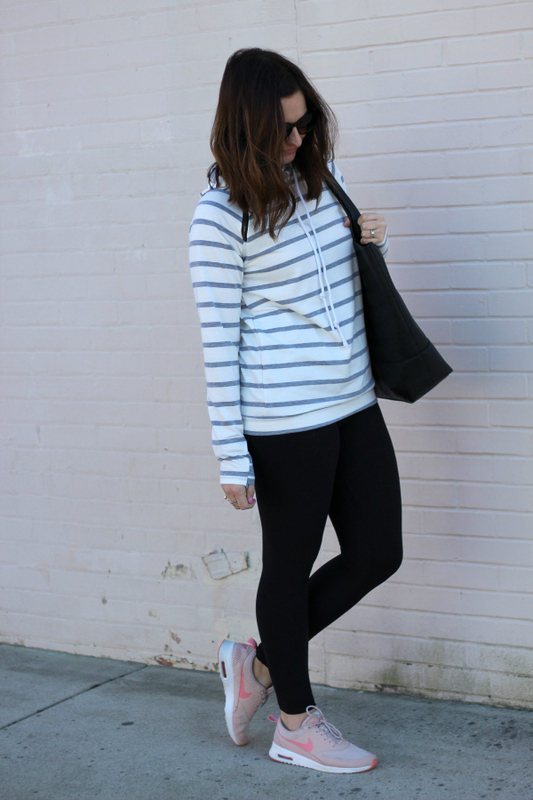 Today is all about comfort because I'm styling the most comfortable striped double hooded sweatshirt and the softest black solid leggings of all time! 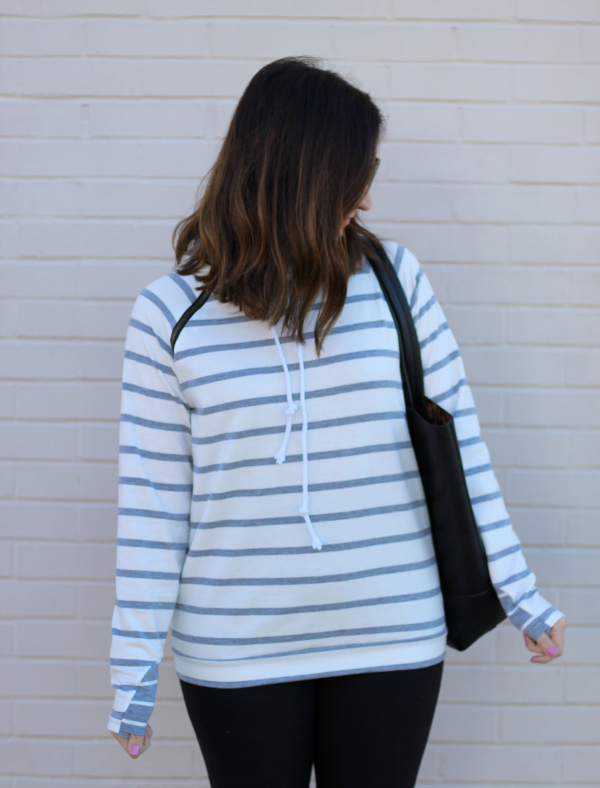 These perfectly cozy pieces are from Simple Addiction, one of my go-to shops for budget friendly basics! 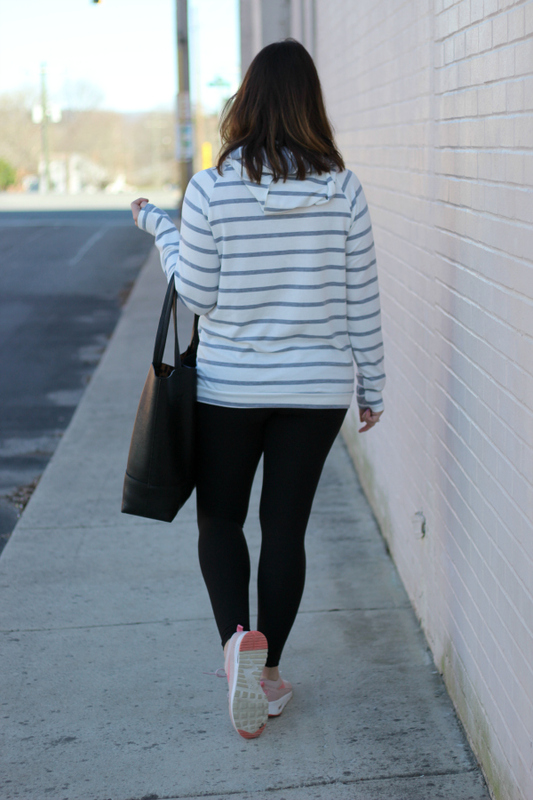 My overall style is pretty casual and I live in leggings whenever possible. However, I still like to feel pulled together which is why I really love this hoodie. 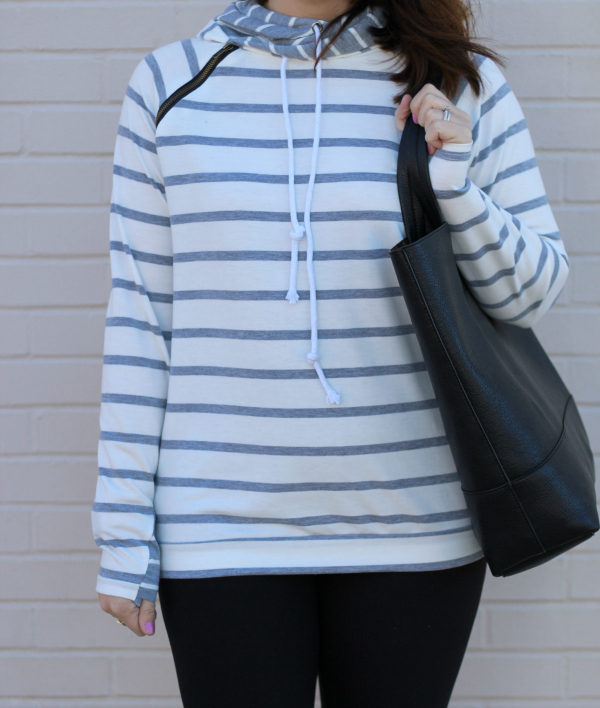 The double hooded style, zipper detail, and hidden thumb holes make this sweatshirt more than just the average one. This is what I consider to be a fancy sweatshirt because there's something special about it. 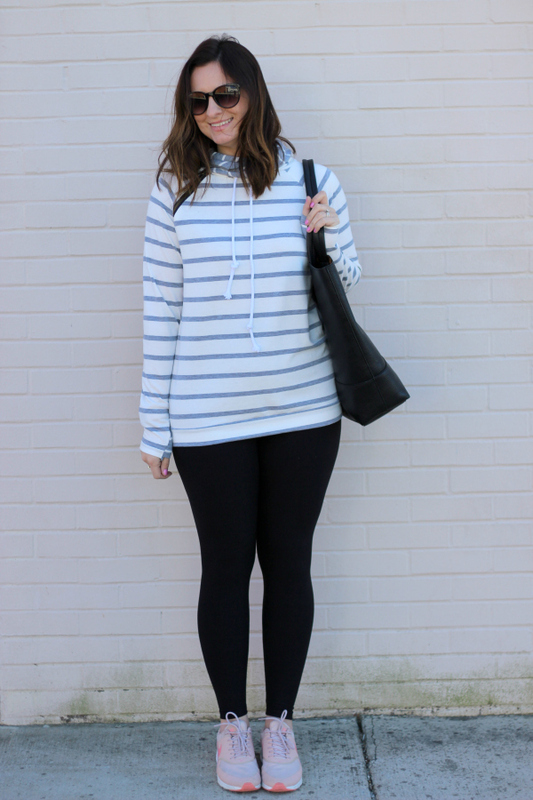 A fancy sweatshirt that can be paired with a great pair of black solid leggings makes the perfect throw on and go look for a woman who appreciates comfort and style as much as I do. 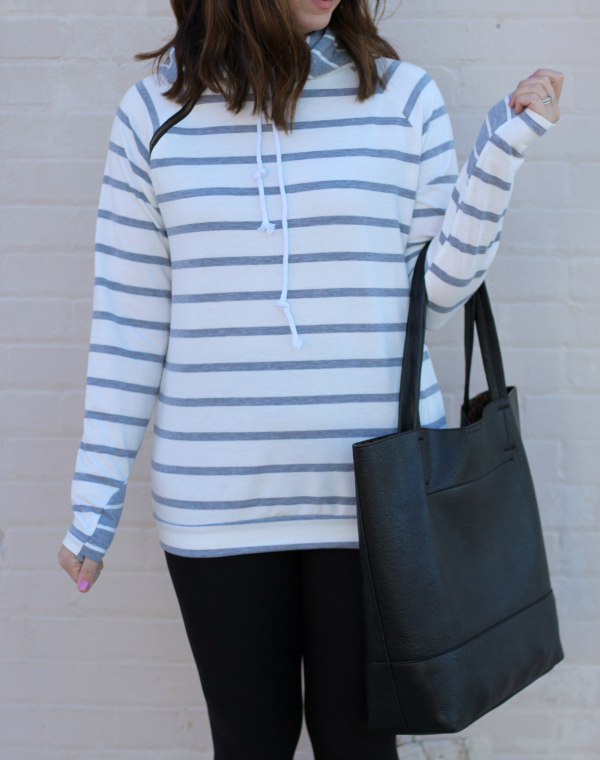 You can be comfortable and stylish at the same time. This outfit is proof! 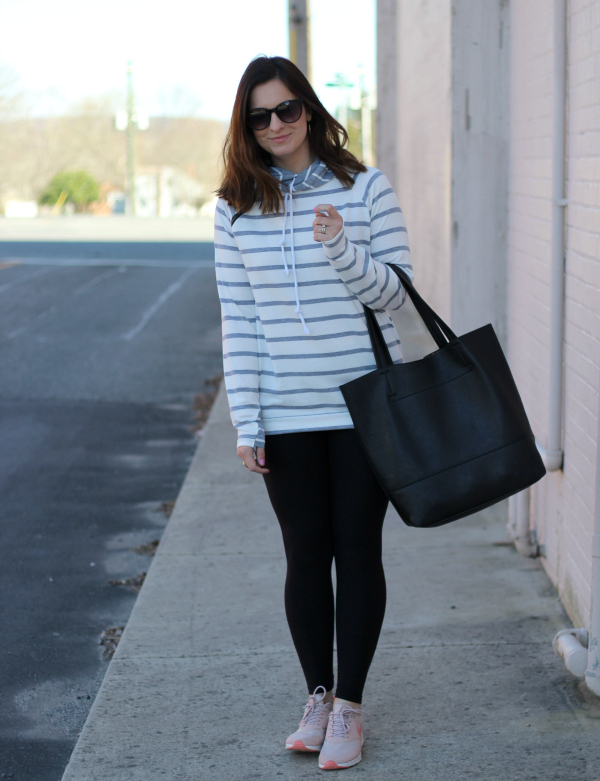 Leggings and hoodies, forever and always. 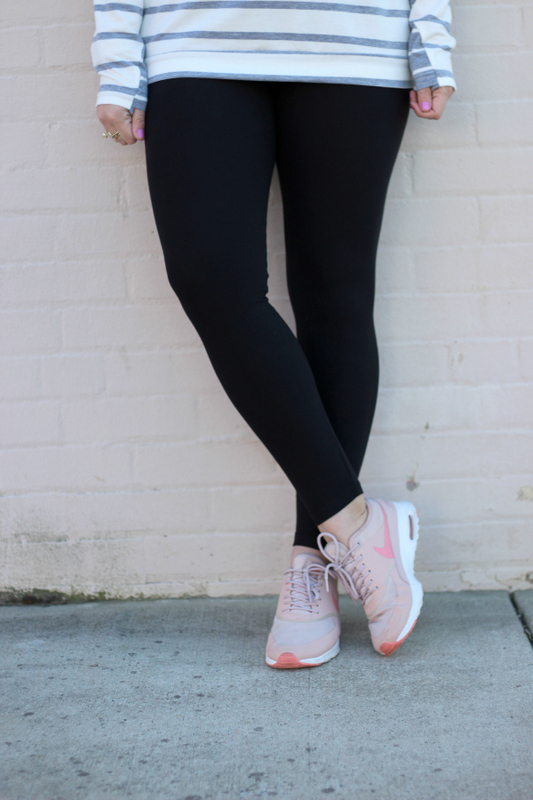 I'm wearing a size medium in the hoodie and a size S/M in the black solid leggings (these leggings really are the softest pair you will ever put on your body plus they are under eight dollars, y'all). Use my code EMILY10 at Simple Addiction to save 10% off your order! Use my code EMILY10 to save 10% off!